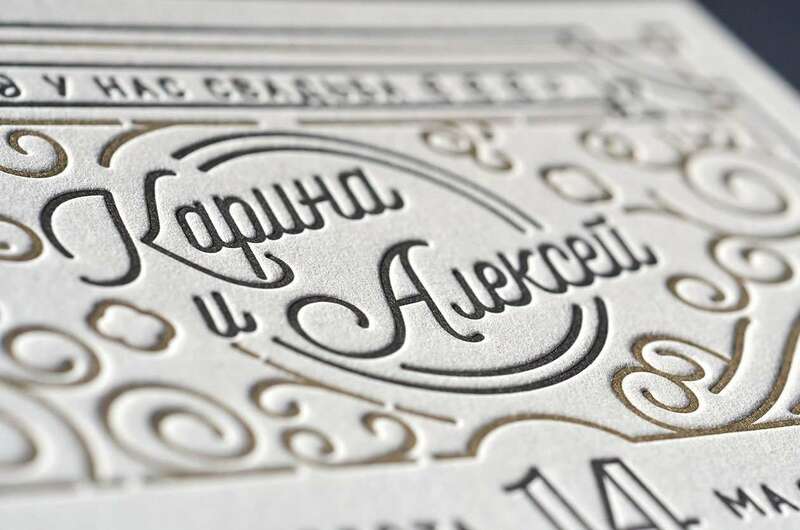 We are very happy to letterpress print this amazing work of designer Aleksey Zinkov. 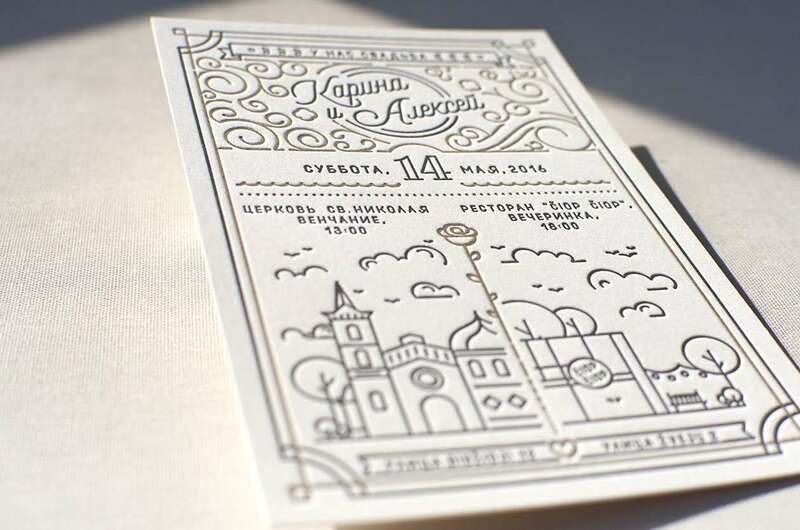 Minimum text, very clear and ingenious illustrations about wedding day program. 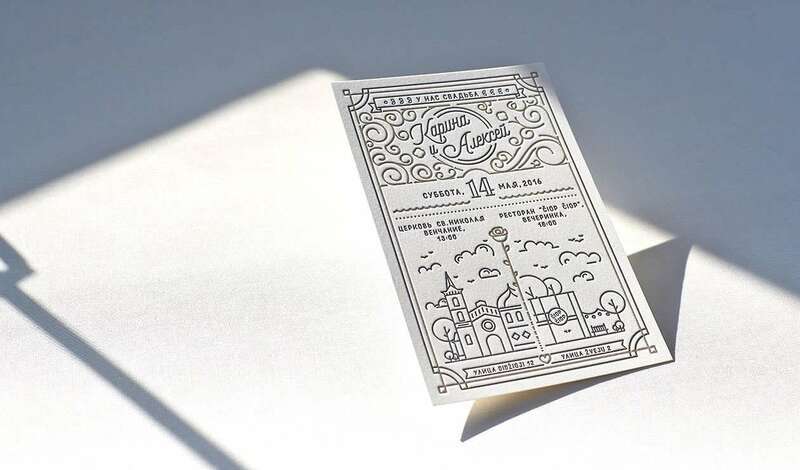 Invitation is designed in a vintage modern style, we think that it is in vogue these days and are really keen on such designs. 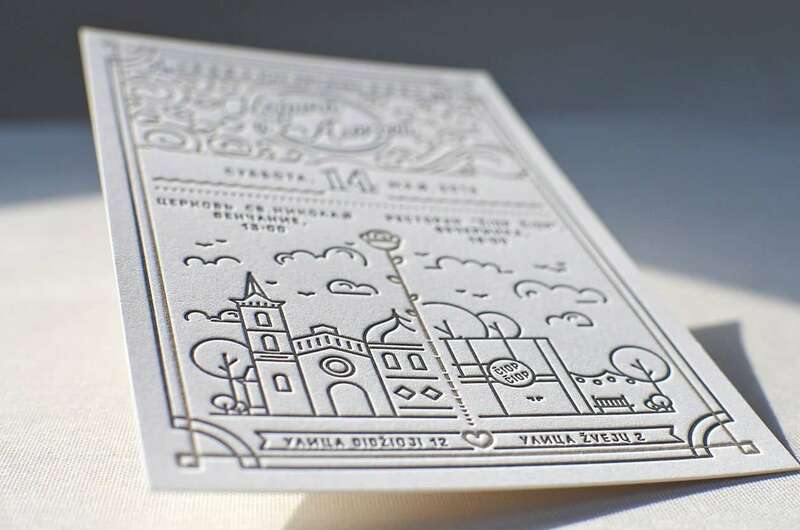 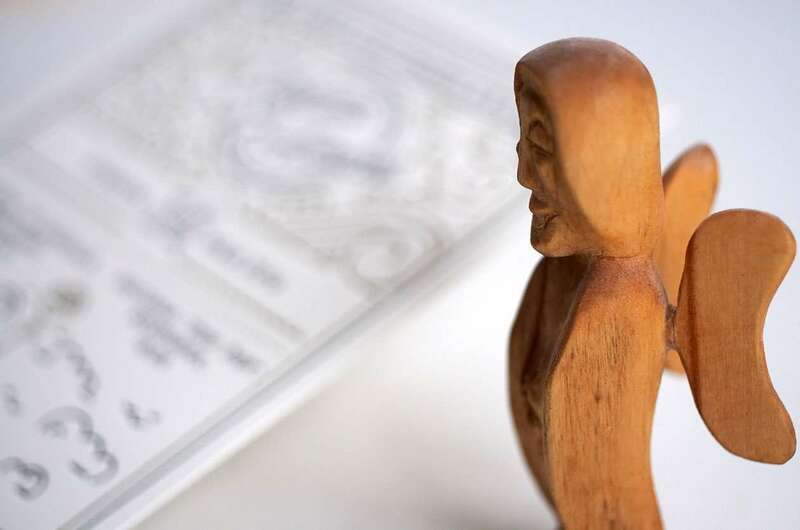 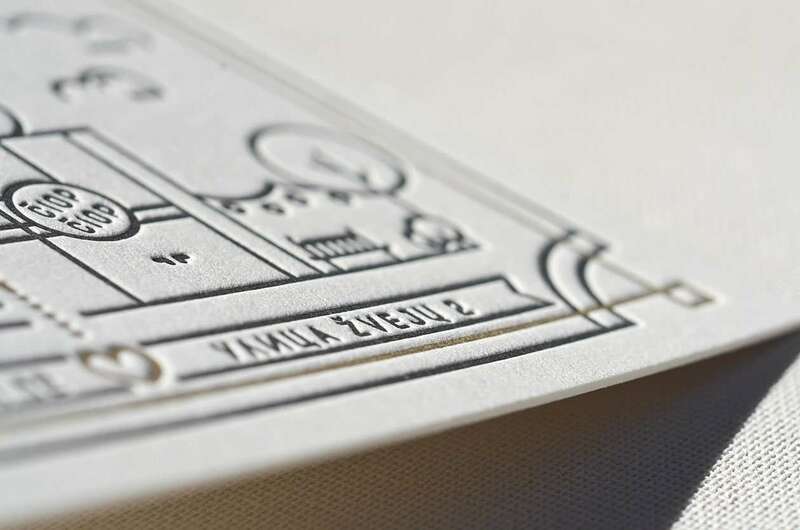 The design includes beautifully ornated names on the top, wedding date in the center and at the bottom you can see stylised illustrations of 2 buildings of Lithuanian capital Vilnius – links were will be announced marriage and held wedding fest. 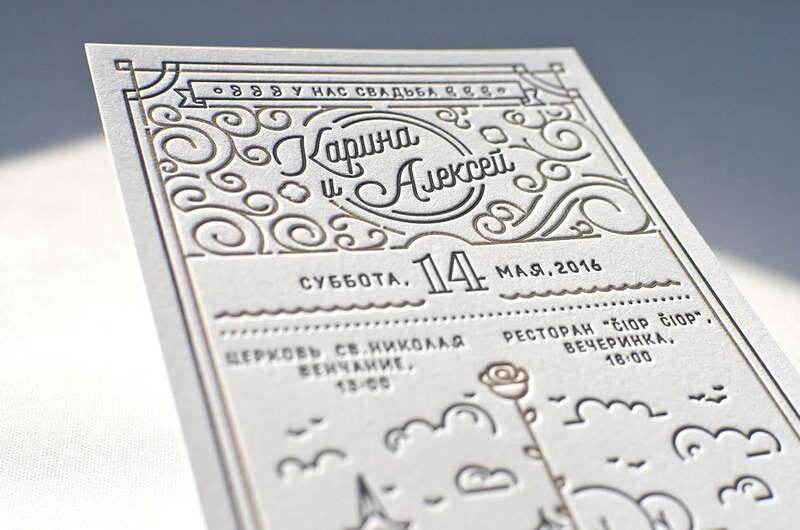 An amazing idea and realisation!